It should be no secret that this North Coast hotspot has perhaps the most luxurious and romantic restaurants, resorts and hotels along these shores, with monsters like the Stephanie Inn, Surfsand, Tolovana Inn and others catering to perhaps almost every need and taste. But the beaches here are one big, long stretch of handhold-inducing sands, capped with a set of viewpoints destined to create a frisson in even the most hardened of non-romantics. At the southern end, south of the Tolovana District, a few small neighborhood streets provide secret beach accesses to more unpopulated areas - so you'll want to be courteous and cautious when parking along here. 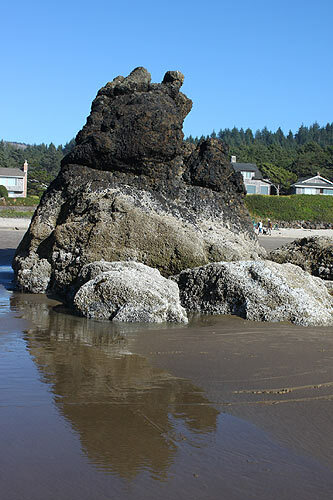 From these, you're perhaps a mile from Arcadia Beach, and you can see that park's seastacks from their northern side. 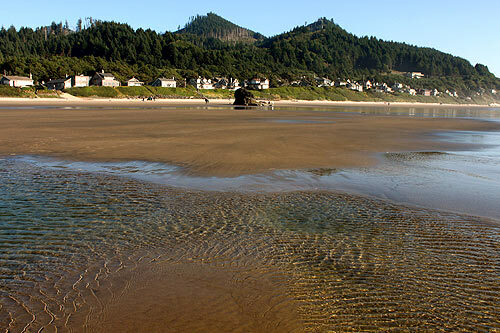 After this, you can head south from town by intersecting Highway 101 nearby. Pictured here is an unnamed sea stack, which dominates this lovely view. At low tides and sunny conditions, this beauty takes on a whole new look. 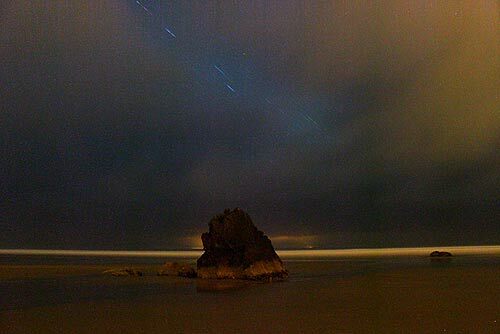 Below is a third scene: a striking, surreal look at this seastack at night. Below that: video of this spot.